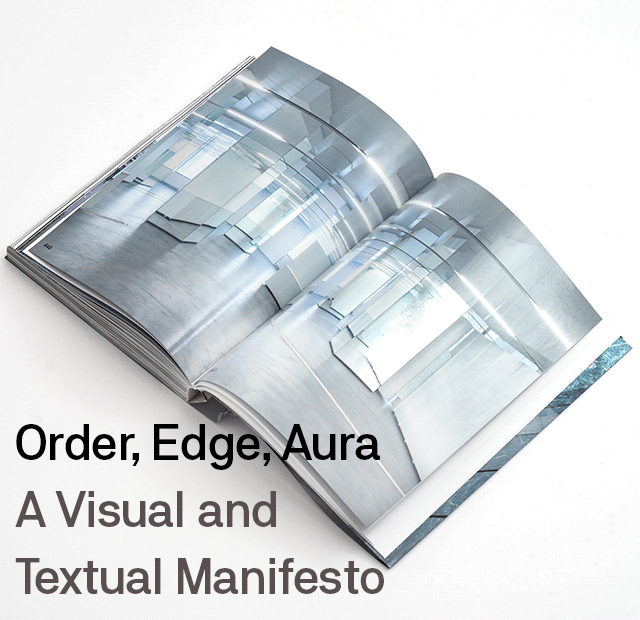 Rather than a catalog of works, Solid Objectives: Order, Edge, Aura is a visual and textual manifesto introducing an attitude towards the design and realization of architecture in an interconnected and global environment. Taking the form of a radical monograph, the book curates SO-IL's content based on conceptual themes, allowing the reader to have a generous, multi-dimensional and immersive experience, similar to how one would experience the firm's architecture. 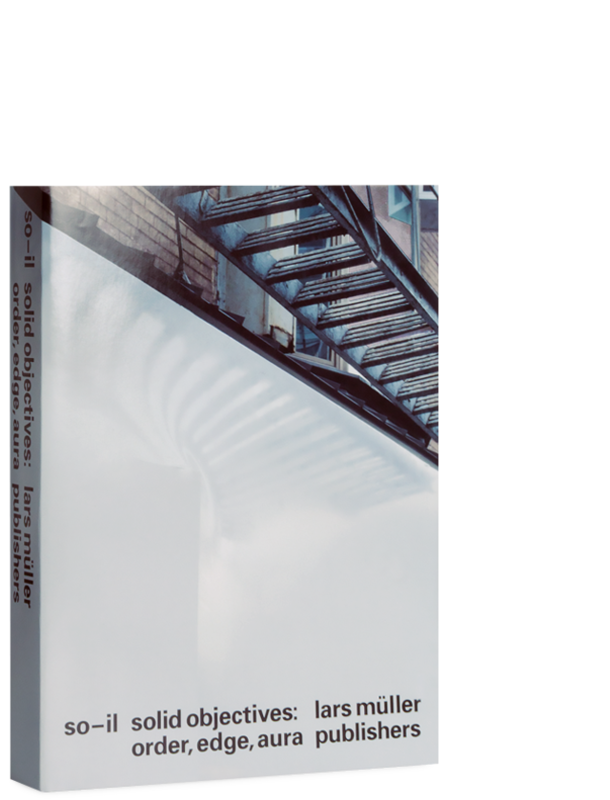 This book introduces an eclectic and playful attitude towards the design and realization of architecture in a time of increased instability. Order, Edge, Aura is illustrated with many rarely seen images, mostly taken by photographer Iwan Baan, and punctuated with essays by SO-IL. The book is not a road map – it is a continuum of small and large spatial events. Moving through distinct conceptual themes, this trajectory is sequenced with moments of reflection and focus. The exceptionally designed layout and the various paper qualities – from glossy to rough – underline the diversity of SO-IL's work. The internationally recognized studio is an aspiring New York-based architectural firm operating in the fields of architecture, urbanism and the arts. Founded in 2008 by Florian Idenburg and Jing Liu, SO-IL is currently run in partnership with Ilias Papageorgiou. "Jetzt stellt das New Yorker Studio von Florian Idenburg und Jing Liu eine schicke Monografie vor, die nicht nur durch Veredelung besticht, sondern sich auch inhaltlich als starkes Stück behauptet: ein gebundener Mutmacher für die Next Generation." Florian Idenburg, born in 1975, Netherlands, is a founding partner at SO–IL. He holds an MSc. in Architecture from Delft University of Technology. He was project partner with Kazuyo Sejima and Ryue Nishizawa (SANAA) in Tokyo until 2007. Idenburg is Associate Professor in Practice of Architecture at Harvard’s Graduate School of Design. Jing Liu, born in 1980 in China, is a founding partner at SO–IL. She received her education in China, Japan, the United Kingdom and the United States, concluding with a Master of Architecture from Tulane University School of Architecture in New Orleans. Liu is currently teaching at Columbia University’s GSAPP and faculty at Parsons The New School for Design. Ilias Papageorgiou, born in 1980 in Greece, is partner at SO–IL. He holds a Diploma of Architecture from the Aristotle University in Greece, and a Masters in Architecture from Harvard University. Papageorgiou has been with SO–IL since its inception in 2008 and became a partner in 2013. Besides practicing, he has been a visiting critic at various universities, and has taught design studios at Columbia University’s GSAPP.